+Bishop Mwita Akiri visits Algoma! The Diocese of Algoma has a long standing relationship with the Diocese of Tarime in Tanzania, Africa as a sister diocese. We support one another in various ways, the least of which is through ongoing prayer. Last summer, a group from across the Diocese of Algoma travelled to Tarime to experience life in community with our brothers and sisters in Christ. 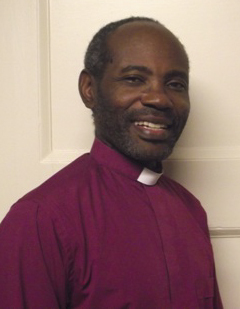 This month, The Right Rev’d Mwita Akiri, Bishop of Tarime, will be visiting our diocese, which includes several stops here in the Deanery of Algoma. Please consider coming out and meeting +Bishop Mwita — he is a wonderful, charismatic person, a great storyteller, and has a passion for sharing stories from his diocese with others as we talk about our common faith. To learn more about the Diocese of Tarime, please visit their website. October 19, 2015 in Miscellaneous.